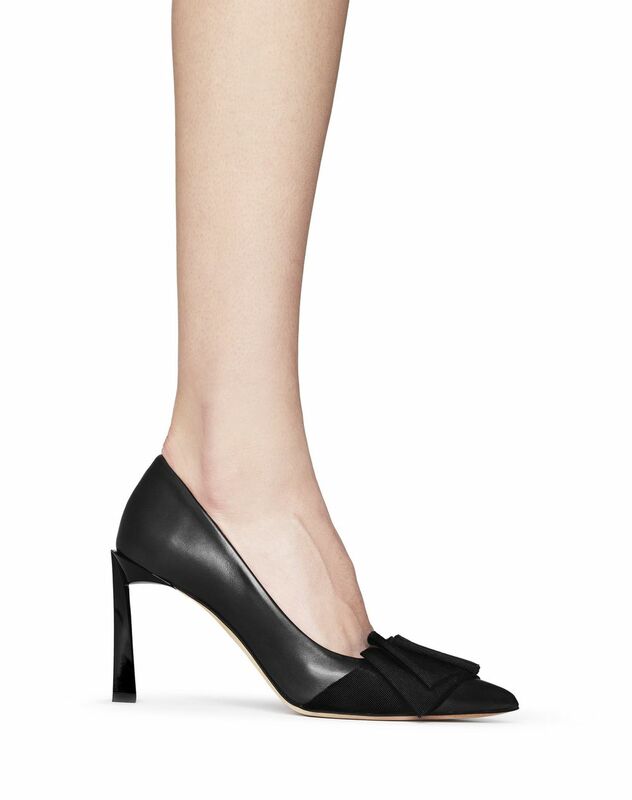 Pump in black calfskin leather, cap toe topped with a black grosgrain ribbon bow, pointed toe, beige insole with gold "Lanvin" logo and a slim beveled 3.3-inch heel. 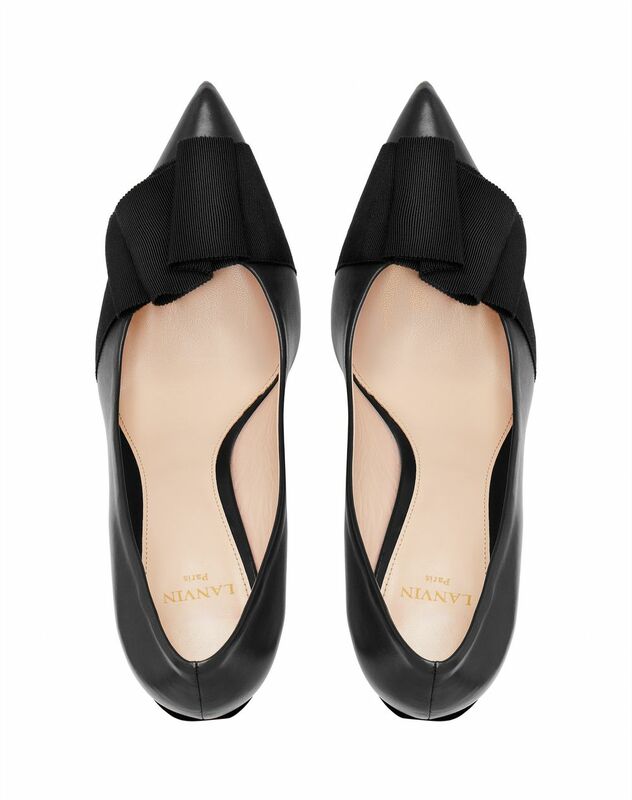 A women’s wardrobe essential, this black leather pump from the Spring-Summer 2019 Pre-Collection stands out for its pointed toe and grosgrain ribbon bow, a Lanvin signature. Its timeless design offers an elegant, sophisticated look for both day and night. Main material: 100% calfskin leather. Secondary material: 100% viscose weave. Inner material: 100% cow leather. Sole: 100% cow leather. 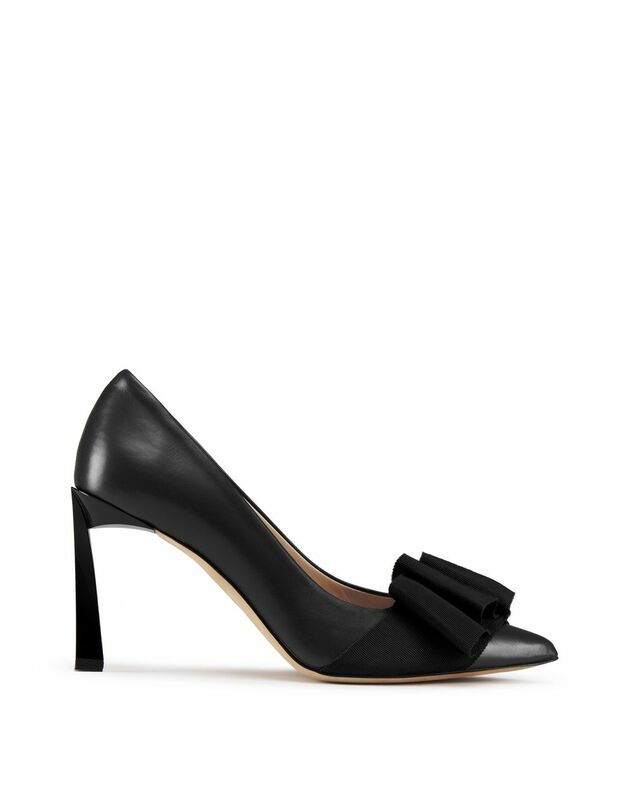 Heel height: 3.3" Made in Italy.